Forward from Summit 411 - Big S is good next year!!! First and foremost, we want to thank you for the incredible support and patience you have shown throughout the past three months. No question, the "winter" of 04-05 has treated the Northwest very poorly and has affected many lives in unkind ways. I know that all of you purchased your pass with the anticipation of many days of great skiing or riding amidst the plentiful Northwest snowfalls to which we've all become accustomed. We want you to know that you, Big S Passholders, are our most valued customers. Many of you have held passes for many seasons and have intentions of holding passes for years to come. Others may have purchased for the first time and we are honored you selected The Summit this year to call your home mountain. It has always been, and most certainly remains, our goal to have the Big S Pass known as the best value in Northwest skiing and riding. With this in mind, we are very pleased to announce to you that we intend to extend the skiing and riding privileges for all 2004-05 Big S Passholders at no charge for the entire 05-06 season! As you can well imagine, this represents a serious financial commitment on our part, but given the nature of this past season, we feel strongly that to protect the trust and loyalty you have placed in us, it is the right thing to do. It is with great pleasure and anticipation that we look forward to welcoming you back next year to a very snowy season! We will be in touch directly with you in the coming weeks with more information and details regarding the extension. We are also pleased so many of you have taken advantage of using your pass privileges at our sister resorts, Northstar-at-Tahoe, and Sierra-at-Tahoe. Both resorts have loads of snow and are expecting great spring seasons. Our offer of complimentary skiing at both resorts with your Big S Pass is still valid for the remainder of the season so if you get the chance, we encourage you to get some turns in sometime in the next few weeks. Lastly, we still have not completely given up hope on snow this year! If we are lucky enough to get adequate snow in the next week or two, we may re-open for limited operations yet this year. It just isn't in our nature to give up! We know many of you would still love to get some more turns in this year, and if we are so lucky, we look forward to helping make that happen. Once again, I want to personally thank you for the huge amount of support you have all shown through this very difficult year. While this has certainly been the most difficult season I have experienced in my 25-year career at The Summit, I am very proud of the tremendous efforts our team has put forth to make the most out of a difficult situation. Thank you to so many for noticing and letting us know. Your positive feedback has been greatly appreciated by the entire Summit team. Wind Direction: NE New Snow: 2"
RAIN TAPERING TO SHOWERS THIS MORNING. ADDITIONAL SNOW ACCUMULATION 2 TO 4 INCHES...MAINLY CENTRAL CASCADES. SNOW LEVEL 4000 FEET. AFTERNOON PASS TEMPERATURES NEAR 40. WIND IN THE PASSES LIGHT. SNOW SHOWERS LIKELY. SNOW ACCUMULATION UP TO 6 INCHES. SNOW LEVEL 2500 FEET. WEST WIND IN THE PASSES 10 TO 15 MPH. SHOWERS. SNOW ACCUMULATION UP TO 9 INCHES. SNOW LEVEL 3500 FEET. AFTERNOON PASS TEMPERATURES NEAR 40. 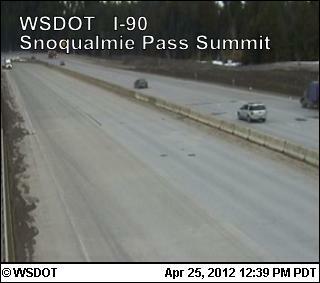 WEST WIND IN THE PASSES 10 TO 20 MPH. SHOWERS. 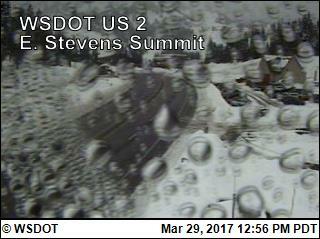 SNOW LEVEL 2000 FEET. SOUTHWEST WIND IN THE PASSES 10 TO 20 MPH. RAIN AND SNOW IN THE MORNING...THEN SCATTERED SHOWERS IN THE AFTERNOON. BREEZY. SNOW LEVEL 3500 FEET. AFTERNOON PASS TEMPERATURES NEAR 40. WEST WIND IN THE PASSES 15 TO 25 MPH. MOSTLY CLOUDY WITH A CHANCE OF SHOWERS. SNOW LEVEL 4000 FEET. RAIN AND SNOW LIKELY. SNOW LEVEL 5000 FEET. AFTERNOON PASS TEMPERATURES IN THE LOWER TO MID 40S. MOSTLY CLOUDY WITH A CHANCE OF RAIN AND SNOW. SNOW LEVEL 5000 FEET. AFTERNOON PASS TEMPERATURES IN THE 40S. RAIN AND SNOW LIKELY. BREEZY. SNOW LEVEL 5000 FEET. AFTERNOON PASS TEMPERATURES IN THE 40S. MOSTLY CLOUDY WITH A CHANCE OF SHOWERS. SNOW LEVEL 4000 FEET. AFTERNOON PASS TEMPERATURES IN THE 40S.